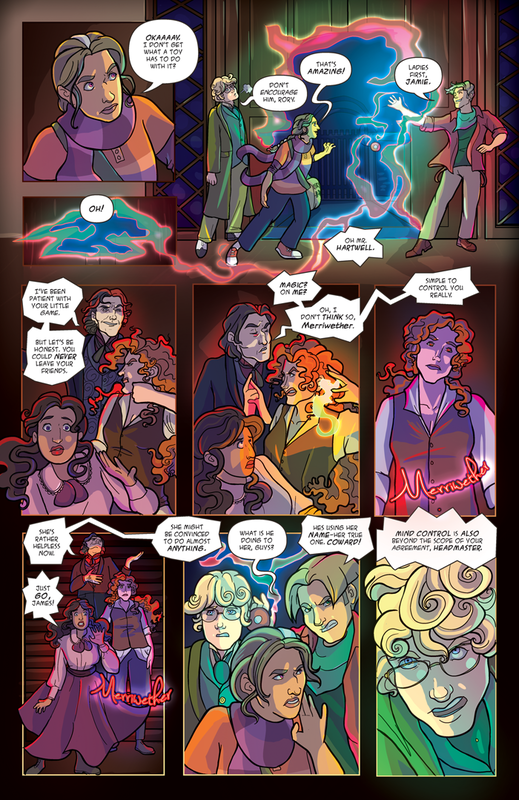 Multiple worlds meets time travel in Infinite Spiral, Kristy Cunningham-Bigler's ongoing Y.A. 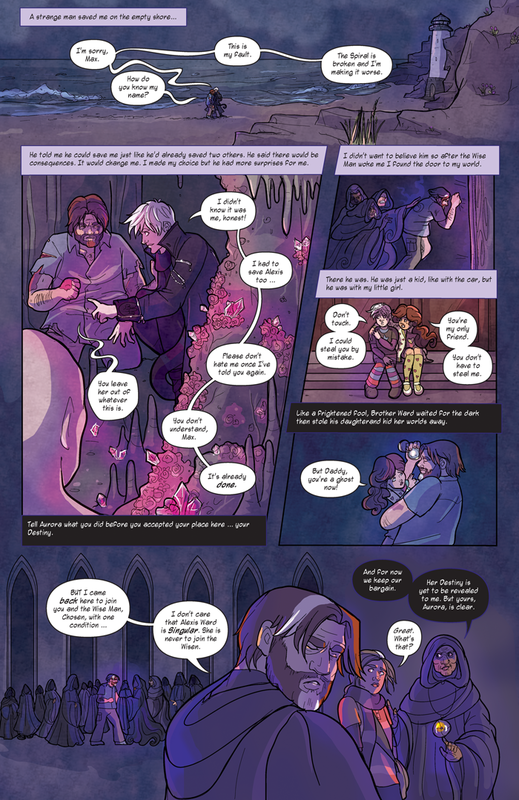 fantasy webcomic. While catching fireflies Rory Perkins discovers there are whole other worlds, and then she gets lost in one. When the other worlds turn out to be less than wondrous, Rory must choose between two quests: Find her way back to her own or make things right in the rest. 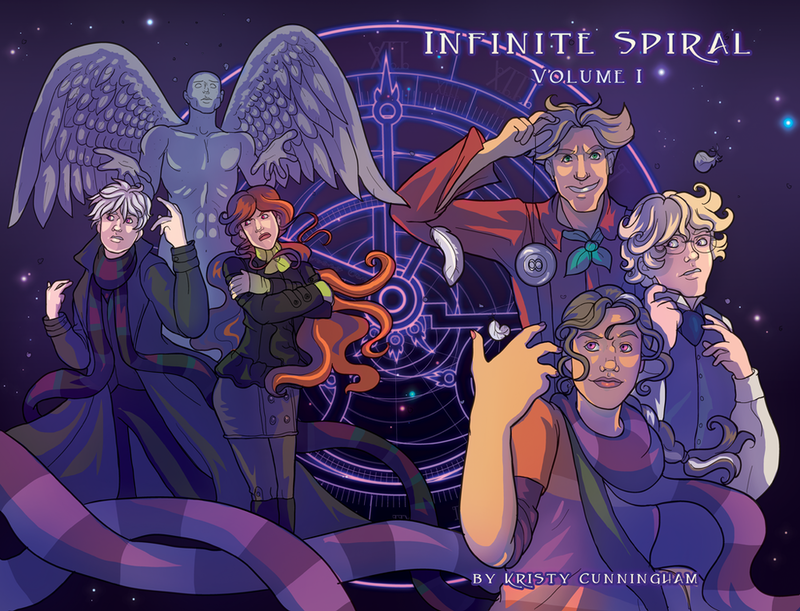 Infinite Spiral is an ongoing webcomic and the first two chapters are available as a printed, perfect bound volume. The Wizard of Oz meets Doctor Who in the first volume of this Y.A. 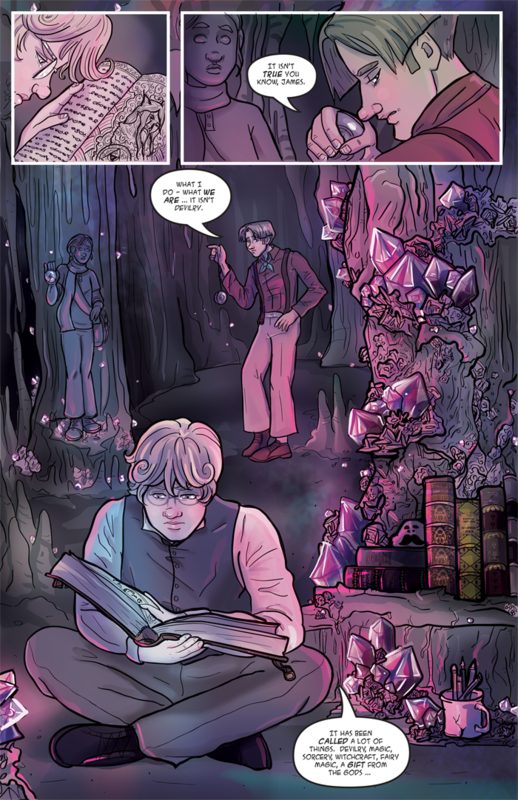 fantasy webcomic by Kristy Cunningham. Volume 1 of Infinite Spiral is 70 pages of perfect bound full color fantasy. Standard comic book size. Price includes the cost of shipping.